The Ford Mustang has stood the test of time. Since April 1964, this car has been one that’s always captured the imagination of the public. It looks good, it goes fast, and it’s affordable. It’s also been one to keep in line with the expectations of its drivers, and its determined approach to evolving is probably why the original pony car is still around today when so much of the competition now lies wrecked on the wayside. The 2015 is the new evolution in the series. If Ford’s fifth generation of the car brought it back to its show pony roots; for the sixth, they’ve juiced the thing up and unleashed a tiger. The new design looks so slick that you might just want to replace your local museum’s Rembrandt with a framed photo of the car. But as any good parent will tell you, it’s what’s on the inside that counts, and, luckily enough, it doesn’t just look like a tiger, it acts like one too. 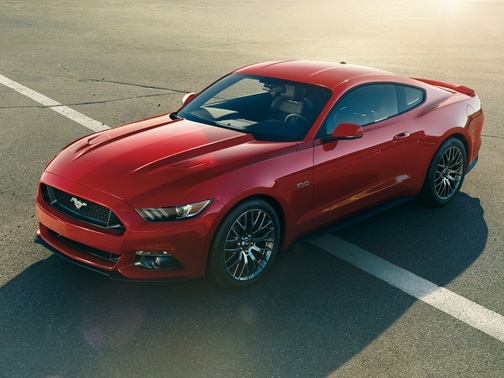 A new independent multilink rear suspension means that the 2015 Mustang handles like a charm and provides a smooth ride to boot. According to Ford, it’s their nimblest Mustang ever. Now, it wouldn’t be a tiger if it couldn’t roar. 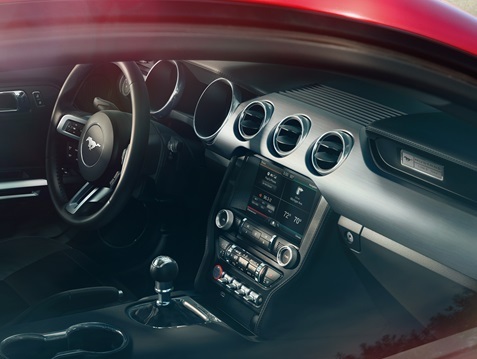 That said, some of us might prefer our Mustangs to canter rather than gallop (tiger metaphor or no, it is still a pony), and that’s why there are three options when it comes to the engine. There’s the standard 3.7 litre V6 engine that will provide you with a sturdy 300 horsepower, and there’s also a 2.3 litre, four-cylinder Eco boost engine that just pips it at 305 hp. But of course, for those who like a bit of roar, the piece de resistance is the five-litre V8 Engine with 420 horsepower and 396 lb-ft of torque. All three are compatible with a six-speed automatic or manual transmission. On the dash, there’s also the Selectable Drive Mode, which allows you to customise the nitty gritty details of your drive. It’s the kind of feature you’d expect from a much pricier sports car. Oh, and let’s not forget, it is available as a convertible. When you buy cars, the best part is the choice. The next evolution of the Mustang is here: a pony with the soul of a tiger. Will you let yours run wild?